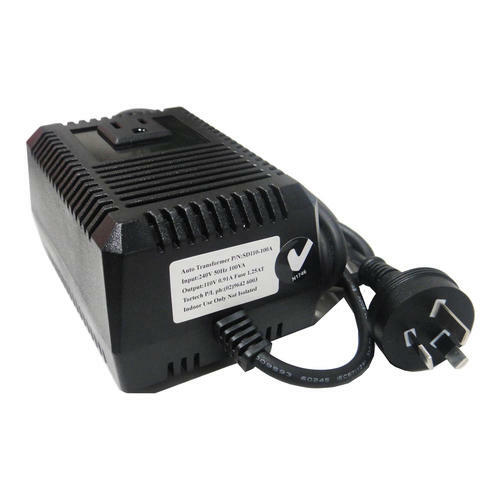 For Single Phase and Three Phase 415V 200vac and 220vac suitable for imported American and Japanese machines. For European/Chinese or Korean Industrial Machine Conversions. 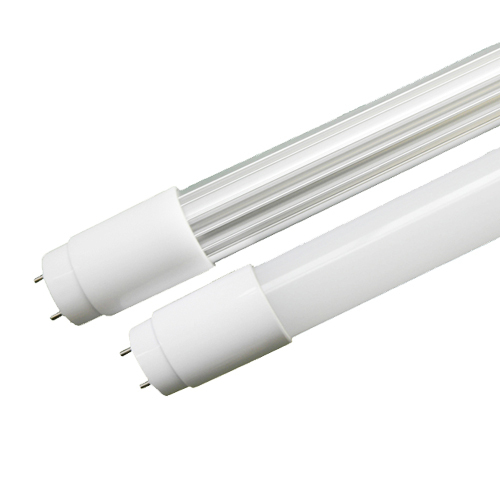 (see here for European 380v). 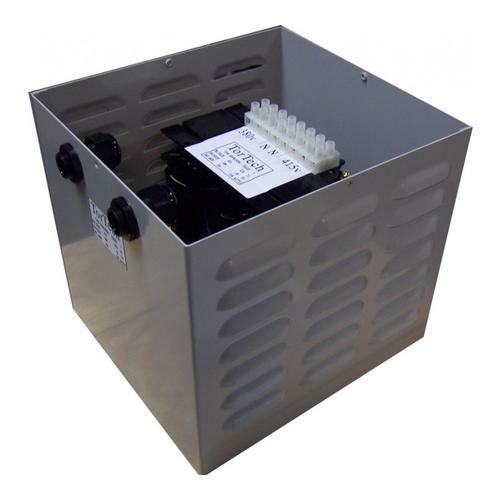 For Isolation transformers please click here. 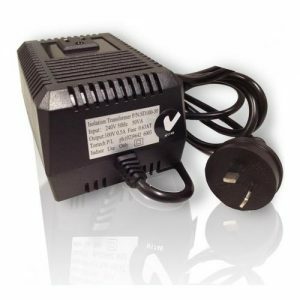 A Transformer is the ideal solution if you want to run an Overseas device NOT designed for the Australian 240 / 415 Volts. 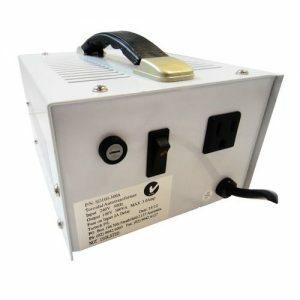 The transformer will convert 415V into 200 Volts to allow your USA Overseas Equipment to work here in AUSTRALIA. We build these converters to Order, for all Countries and Voltages. Please Enquire Direct. 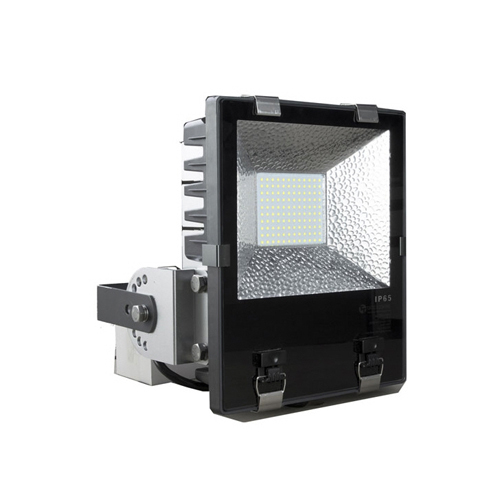 These items are mainly for Industrial & Factory environment with High Capacity, Not for Domestic Use. Transformers for domestic use are listed here. They must be Hard Wired into the Electrical supply by a Licensed Electrician or Electrical Contractor with a suitable circuit breaker. Insulation class of materials used is Class F (155ºC) or Class H (180ºC). The units are natural convection cooled and require suitable clearance around the transformer. 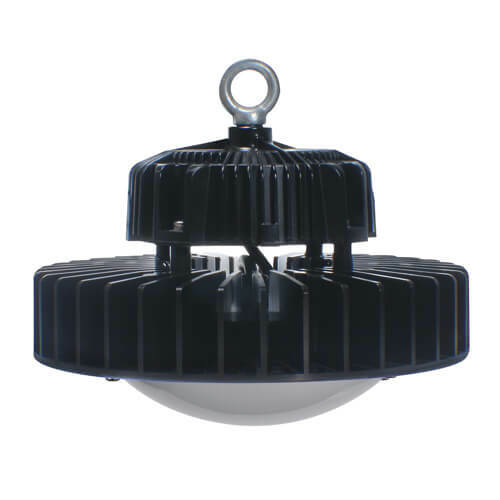 The transformer can be manufactured as open units or enclosed in indoor type (IP22)/Outdoor type (IP56) units in Epoxy polyester powder coated mild steel enclosures. Stainless steel enclosures are also available for our transformers in marine grade SS316 material suitable for installations with high salt/corrosion content. Terminals for connection will either be DIN rail mount blocks/ standard terminal blocks or bus bars depending on the current rating of the transformer. NOTE: A transformer will only step the voltage up or down depending on its ratio. It will not change the frequency from 50Hz (cycles) to 60Hz. American motors are designed to operate at 60Hz and will be reduced in capacity/speed by around 20% when running on 50Hz supply. However, Tortech transformers have a reduced voltage of 208vac instead of 220vac to compensate the difference in frequency. 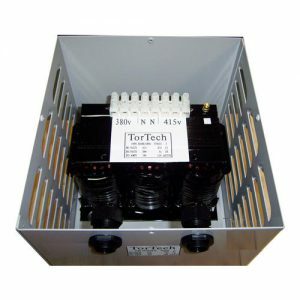 Tortech has over 30 years of experience in customised transformers for the defence, transport, mining and the renewable energy industry. 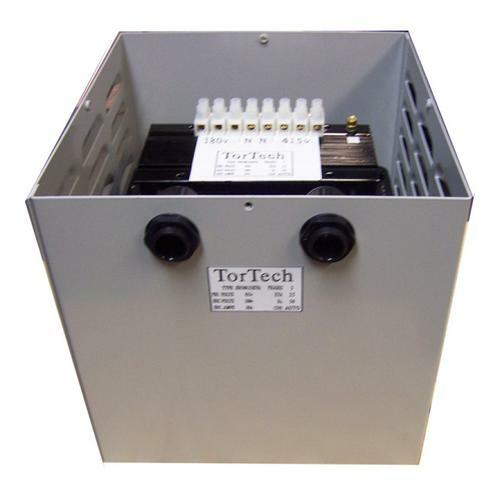 Tortech transformers can be supplied with routine test reports and special type test reports.  Tortech has an ISO9001 quality management system in place to ensure that we minimise errors and increase the reliability of our units. 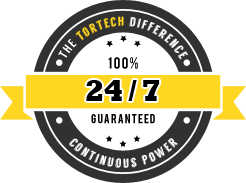 Tortech offers excellent pre-sales and after sales support, feel free to contact one of our friendly sales staff on (02) 9642 6003. American step down transformers are generally manufactured as Auto-transformers and do not provide electrical isolation. 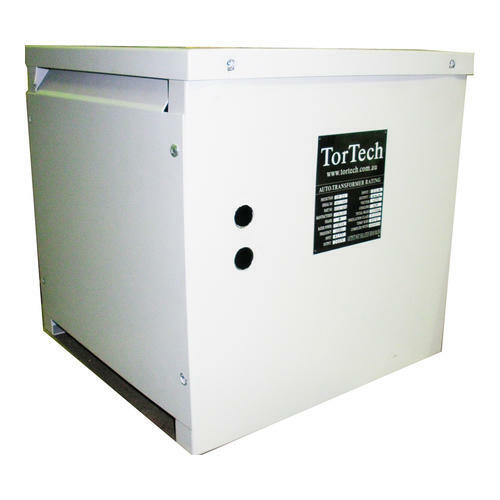 Auto transformers are compact and approx half the size of isolation transformer (415/220vac). We can also supply the transformers for OEM equipment. We offer special discounts on bulk orders. 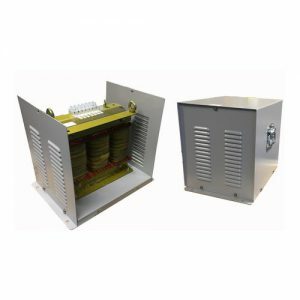 Please visit our isolation transformer page for info on custom made isolated step down transformers. Transformers are manufactured with copper or aluminium wire and are rated for operation in harsh Australian conditions. 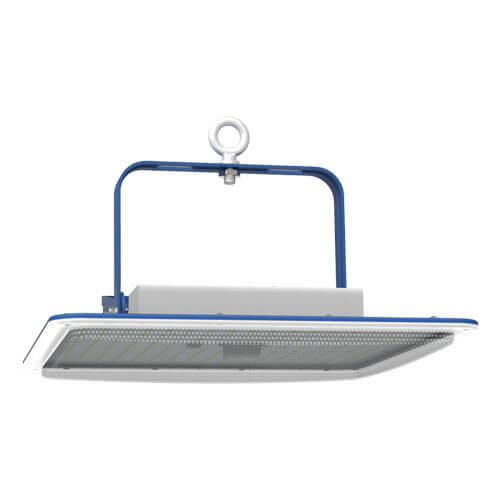 (Our designs are generally based on an ambient temperature of 50ºC, <1000m elevation and <99% Relative humidity (Non condensing). We have extensive experience in R&D and have engineers dedicated to the research on "Temperature rise of dry type transformers", "Partial Discharge and short circuit strength of epoxy resin cast transformers". We have been conducting presentations on the topic at various Australian universities and Engineers Australia Sydney division. Tortech has been studying the distribution of forces, fields and heat flux on our transformers using Finite Element Analysis (FEA software). This has helped us to manufacture special transformers for the defence and research community. Our Transformers are of the Highest Quality. Design life of 25 years. All our Units come with a 1 Year Money Back Warranty!. Optional Extended warranties are available on request. Our unit is Fully Australian Made. Local pre-sales and after sales support. with a fully equipped testing equipment calibrated by an accredited NATA laboratory. Isolated input to output versions are available. We can include Safety Fuse or Circuit Breaker Protection. Transformers can be specially manufactured for installations with low in-rush current requirements. 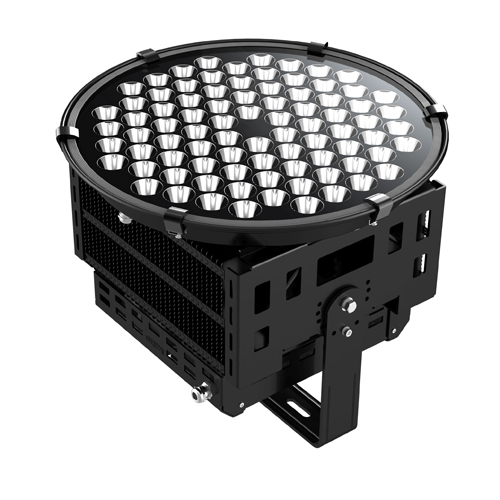 GOSS, NON GOSS, Uni-core and Amorphous core designs are available for special applications. Enclosed or Open units. 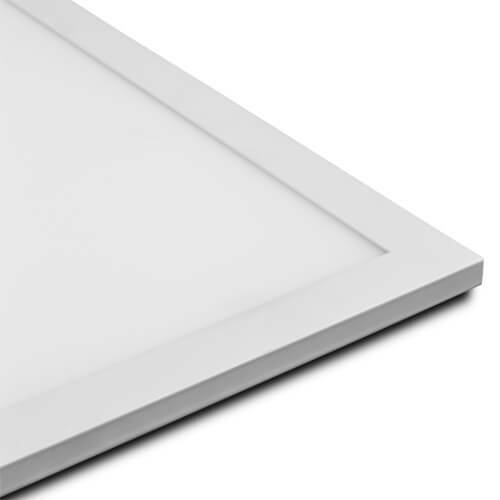 Enclosures made with powder coated mild steel or stainless steel. 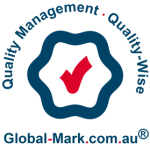 Australian and overseas manufactured units are tailor made to suit extreme Australian conditions. What is the total watts or VA used by the appliances to be connected to the Transformer? Choose the unit with matching power rating or the next one up. Most appliances have a rating label on them. The Transformer cannot change Frequency. In most cases this will not be a problem. This may occur with fans and motors. Do you know the Amps of your 3 Phase device? Not sure which Unit you will need? Then please contact us with your answers to above questions & we will advise the you the unit required. **Please note if not in stock Manufacturing time of 1-2 weeks* required. * Subject to change based on work in progress.